Stay inspired all through your workday decorating your desk with your Kate Spade New York® I Need A Vacation Mouse Pad. Sassy "I need a vacation" lettering to one side with iconic gold-tone floating spade. 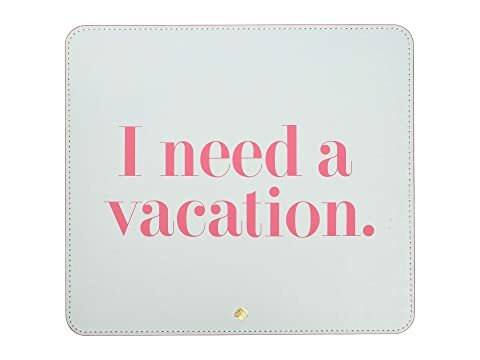 We can't currently find any similar items for the I Need A Vacation Mouse Pad by Kate Spade New York. Sorry!